Renewit Cleaning & Restoration is a locally owned and operated company that has been providing effective disaster restoration and cleaning services to homes and businesses in Rochester, NY since 2007. Our team of trained and IICRC certified technicians have the expertise to handle any commercial or residential job and we are dedicated to making your needs our top priority. We guarantee that we can meet every aspect of your restoration needs and our phone lines are open 24 hours a day to respond to restoration emergencies in the Rochester, NY area. The staff of Renewit Cleaning & Restoration provides a range of restoration and cleaning services that include water damage restoration, fire and smoke damage restoration, flood cleanup, mold remediation, carpet cleaning, and storm damage restoration. We use the best equipment and cleaning products available in the industry such as sanitizing agents, anti-microbial treatments, deodorizers, and advanced drying equipment to completely restore your home or building to its previous condition. Our staff understands the importance of reacting quickly to your call to limit the damage and we also work with insurance providers to help the claims process go smoothly. Renewit Cleaning & Restoration is located in Rochester, NY and we serve all of Monroe County as well as the surrounding partial counties Ontario, Wayne, and Orleans. Our years of experience have earned us many awards and we have helped major companies in the Rochester area with their restoration and cleaning needs. Contact Renewit Cleaning & Restoration at 585-643-6222 for disaster restoration or cleaning services in Rochester, NY. Water damage commonly occurs from a number of different factors and it can cause damage and staining to the drywall, carpeting, and furniture of your home. It is important to begin the water damage restoration process as soon as possible because the damage can spread or result in mold growth. Renewit Cleaning & Restoration provides water damage restoration services to homes and businesses in Rochester, NY. We can dry your home and furnishings using the Dri-Eaz technique as well as deodorize and disinfect your property. Even after the flames are put out, the damage from a fire can continue to spread as burned synthetic materials emit harmful chemicals and corrosive byproducts. 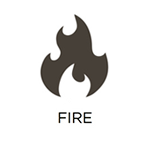 If the fire damage is not restored quickly, the damage could become permanent. Renewit Cleaning & Restoration provides fire damage restoration in Rochester, NY to help restore homes and business that have been destroyed by fire. We use advanced equipment and cleaning agents to help clean and repair the structural elements and furnishings of your home to restore it to its previous condition. The smoke from a fire can cause extensive damage to a home or building, even in areas that were not affected by the heat and flames. Smoke leaves behind soot damage and unpleasant odors that can linger for years if they are not properly removed. Renewit Cleaning & Restoration provides smoke damage removal services in Rochester, NY using effective chemical combinations and sanitizing agents that are safe for a variety of household surfaces. We can also completely remove smoke odors using ozone machines. Flooding within a home or building is a major problem that can cause a significant amount of damage very quickly. Sometimes floods may include raw sewage which requires specialized attention because it contains harmful bacteria and other biological material that can spread disease or infection. 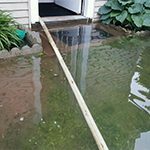 Whether the flood contains sewage or not, Renewit Cleaning & Restoration can provide flood damage cleanup services in Rochester, NY to remove the excess water and repair the damage caused by the flood. Mold is one of the most unwelcome sights within a home or building as it can cause property damage as well as heath issues such as allergies or infection. 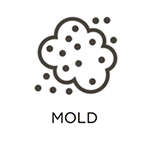 Humid conditions cause mold to grow and if the growth is not removed, it will continue to spread through the building. Renewit Cleaning & Restoration provides mold remediation services in Rochester, NY to remove mold from your home or business. We will repair or replace all affected surfaces and make sure to contain the mold to prevent it from spreading. The carpet in a home or building consistently gathers dirt and other debris that can ruin its appearance and eventually cause it to deteriorate. The gathered dirt and dust can also contribute to indoor air pollution if it is not removed. 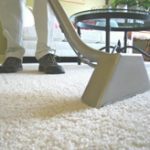 Renewit Cleaning & Restoration offers effective carpet cleaning services to homes and businesses in Rochester, NY to improve the look and extend the life of your carpet. We can also remove stains and odors from your carpet using powerful cleaning agents. The furniture in a home or office experiences daily use which causes it to pick up dirt and other debris that can become embedded into the upholstery. The direct contact from a person on the upholstery can cause the dirt and soil to become abrasive and wear out the fabric. Renewit Cleaning & Restoration offers professional upholstery cleaning services to homes and businesses in Rochester, NY. We can remove embedded dirt and debris as well as stains from the upholstery to restore its original look and help extend its life. 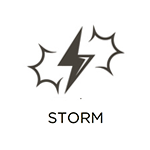 The Rochester, NY area is no stranger to severe weather such as thunderstorms, floods, and blizzards and these storms can cause structural damage to a home or building if they are strong enough. 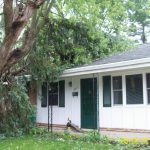 Renewit Cleaning & Restoration provides storm damage restoration in Rochester, NY to help cleanup and repair the damage left behind by severe storms. 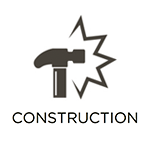 We can help repair your home or building and remove any debris from your property. With the brutally cold temperatures of the winter in upstate New York comes the possibility of frozen pipes in your home or building. 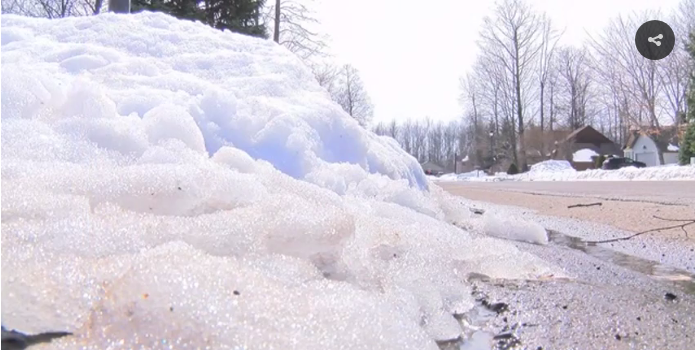 Below freezing temperatures can cause water inside the pipe to freeze and when this happens, the ice will continue to expand against the walls of the pipe. 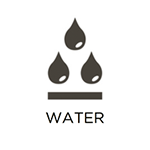 Eventually the pressure will cause the pipe to burst and spill plenty of water into the home or building. This can lead to very extensive water damage that demands immediate attention. 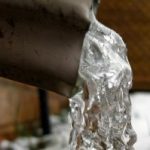 At Renewit Cleaning & Restoration, we provide restoration services to clean up the effects of frozen and burst pipes in Rochester, NY. 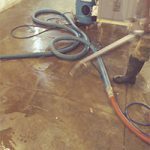 We use advanced water extraction and drying equipment to remove the water and we can also restore the damaged materials.